What’s the connection between craft beer and micro-distilleries? Quite a lot. From craft brewers who are adding distilling in their business to distillers who got their start in brewing, the ties between brewing and distilling are defining how micro-distillers make inroads into the market. 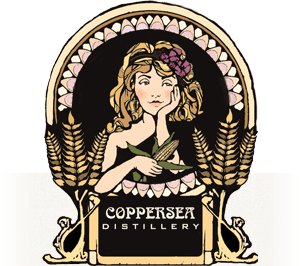 Michael Kinstlick of Coppersea Distillery – a recently licensed distillery in West Park, NY, and will be selling in the fall – updates us on the progress of the craft spirit movement. Gregg Glaser (Yankee Brew News and Modern Distillery Age) calls in to help connect the dots between the two industries. Plus regular guest Jen Schwertman of Blind Tiger weighs in on micro-distilleries, alongside Matt Barclay and Justin Israelson from Sycamore Bar and Flowershop. The movement for craft brewers to add a distilling element is spreading world wide, from Japan (Hitachino) to Europe (Mahr’s Bräu) and everywhere in between (Warwick Valley/Doc’s Cider, McMenamins, Rogue, Dogfish Head, Triple Eight/Cisco Brewing, and Dutch’s, among others). Join Beer Sessions Radio and hear what’s happening in micro-distilling with this great beer-loving crowd.